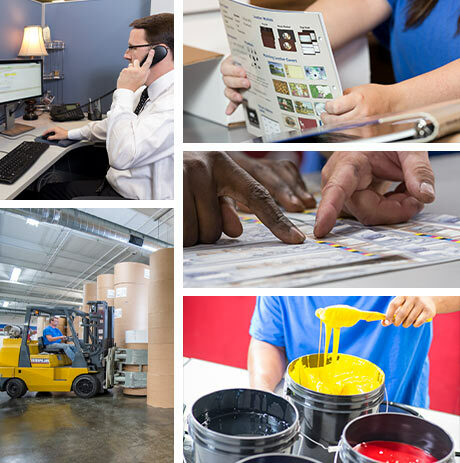 Main Street, an ultra-short-run commercial printer and mailing operation, is seeking a Vice President of Manufacturing. The role is located in Birmingham, AL and would have responsibility for manufacturing operations at two local facilities. The Vice President of Manufacturing will report to the Chief Operating Officer and will be responsible for conventional offset print, digital print (both inkjet and toner-based), bindery, mailing, and shipping operations. The company must maintain timely production of its core products and continuously improve quality while simultaneously facilitating the growth of new business. Leads a team of operations and plant leaders to consistently deliver forecasted production output based on client commitments. Models and drives accountability at every level, pushing self and others to reach milestones. Works closely with the COO and President to develop and implement operational strategy, maintains an environment and philosophy of continuous improvement, develops leadership in others so that the organization can continue to meet future challenges. • Responsible for daily production, inventory management, cost containment, budgeting and development of manufacturing and distribution. • Champions continuous process improvements across all aspects of operations: print, finishing, bindery, packaging, mailing and shipping. • Maintains a safe work environment that meets OSHA and environmental requirements and an employee-friendly environment that reflects the company values. • In conjunction with business unit leaders, develops the annual plan and forecasts, broken down into specific objectives and measures in alignment with overall business objectives. • Stays well-connected to industry trends and technology in order to help navigate future directions and investments for the company. • Works closely with Customer Service and Marketing groups to ensure that client needs are being met and that problems are solved and minimized; works closely with Information Technology group to maximize the efficiency and effectiveness of Main Street’s highly-automated workflows. • A Bachelor’s degree plus at least five years of experience in manufacturing leadership and management. • While specific certifications in Six Sigma or Lean Manufacturing are not required, the candidate should have demonstrable experience in the development, implementation, and measurement of process improvements. • Conventional print shop, digital print, and mailing experience. • Strategic acumen with ability to consider the broader business challenges and align teams to them. • A strong metrics orientation so that internal “scoreboards” can be maintained and evolved as the business evolves. • Hands-on, involved style to with demonstrated ability to get things done. • Sound administrative skills and well-developed management and people skills. • A participative management style that advocates team and seeks to give away both leadership and credit. • Excellent communication skills—both written and verbal. Summary: Inspects products for quality, completeness and accuracy. Is responsible for ensuring printed products are in the proper order and all products are for the proper customer. Position is full time with benefits. Candidates must be able to pass a pre-employment drug screen. • Inspects product for the following: Xerox Spots, Press Spots, Faded Printing, Stock Inserted Incorrectly, Incorrect Stock, Wrinkled Stock, Missing Pages and Out of gauge. Physical Demands: While performing the duties of this job, the employee is regularly required to stand for most of the day, walk, use hands to finger, handle, or feel; reach with hands and arms. The employee must regularly lift and/or move up to 10 – 15 pounds. Specific vision abilities required by this job include close vision, color vision, peripheral vision, and ability to adjust focus.